The Indian Air Force on Monday issued a statement refuting claims that Wing Commander Abhinandan Varthaman's MiG-21 Bison did not shoot down Pakistan's F-16. 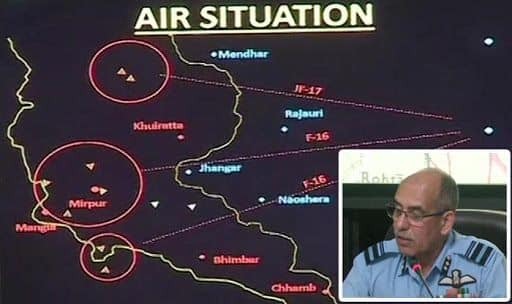 This comes after the IAF on April 5 reiterated that the plane shot down in an aerial engagement by a Mig-21 in Nowshera sector on February 27 was an F-16, rejecting a claim in a report that none of the Pakistan Air Force’s (PAF) US-supplied jets was found missing after a recent count. The IAF had said that Indian forces have confirmed sighting ejection at two different places on that day (February 27). The two sightings were at places separated by at least 8-10 km. One was of IAF Mig-21 Bison and other a PAF aircraft. “Electronic signatures gathered by us indicate PAF aircraft was F-16,” said the IAF sticking to its earlier version of the sequence of event. The clarification came after Foreign Policy cited unnamed US officials to claim that the F-16 fleet of PAF was counted and no jet was found to be missing. “One of the senior US defence officials with direct knowledge of the count said that Pakistan invited the United States to physically count its F-16 planes after the incident as part of an end-user agreement signed when the foreign military sale was finalized. Generally, in such agreements, the United States requires the receiving country to allow US officials to inspect the equipment regularly to ensure it is accounted for and protected,” said the report claiming the PAF F-16 fleet was intact. The report was also used by Pakistan’s military propaganda establishment to refute Indian claim of shooting down an F-16.